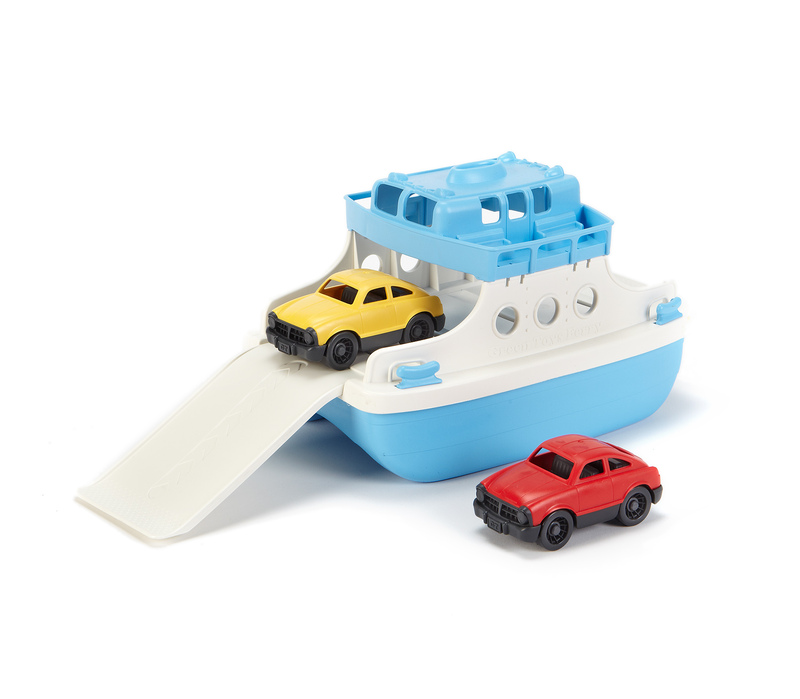 Set sail with the Green Toys™ Ferry Boat for a quick bathtub excursion or an extended trans-pool voyage. Whatever the adventure, this two-story vessel is ready to hit the open water with room for eco-friendly cargo galore, and even comes with two Green Toys™ Mini Fastbacks. Use the slide-out ramp to load up the spacious bottom level that accommodates up to four Green Toys™ Mini Vehicles or Fastbacks. The open top deck features two small benches on each side, as well as eleven windows looking down into the main level. Made in the USA from 100% recycled plastic milk jugs that save energy and reduce greenhouse gas emissions, this craft is ideal for any body of water - durable, buoyant, and dishwasher safe. The hull also detaches for easy cleaning. No BPA, phthalates, PVC, or external coatings. Packaged using recycled and recyclable materials and printed with soy inks.